Wow, I can’t believe I haven’t written anything on this blog since March. Sorry to my regular readers, all two of you, but life has been pretty busy. I will try to post something about that later. Here I wanted to post about the 2018 Council on Social Work Education Annual Program Meeting, taking place in Orlando Florida. I am presenting a poster on how Schools of Social Work use Twitter. In case you weren’t able to stop by to see the poster I thought I would link to it here and write a little more about this project. Please Retweet #SocialWorkEducation: A Content Analysis of Social Work Programs on Twitter has been a project in a process now for over a year. It all started by tracking the schools or programs of social work on Twitter that I know about. I created a List and then used If This Then That (IFFT) to track all the tweets and download them to a GoogleDoc. There is a much easier way to do this with Python and some Programming but I’m still learning Python 🙂 Plus Twitter seems to change their API often and so this was an easy way that got the job done, even though it took forever!!! I just want to know how schools and programs use Twitter, what they share, and who they might interact with. Take a look through the slides below for a bit more information. The Annual Program Meeting is always fun and informative. I hope I am able to meet you there or catch up with old friends. Stop by and say Hi during my poster presentation. Remember the Good in Social Media! 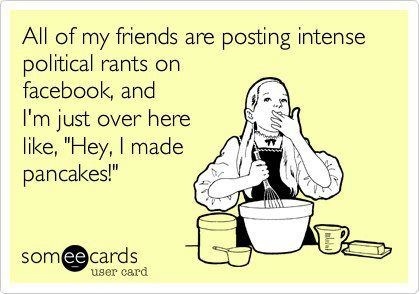 Anyone who knows me, my work, or frequents this blog will recognize that I enjoy social media. Well, most of the time anyways. There are days, weeks, and sometimes even months where I want to close all my many accounts and throw away my iPad or turn of my iPhone. Then something great happens. Something amazing goes viral or comes to me through those very social media channels that I sometimes loathe. November 13th, 2013 was actually one of those days. A day like most others where I opened up Twitter to get some of my daily news and discovered my feed was being overrun with the hashtag #SFBatkid. If you are a regular Twitter user than you know exactly what I’m talking about, how could you not, as that day Batkid was everything. 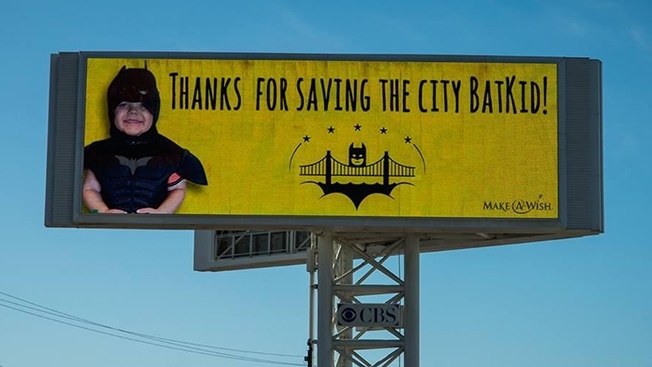 The Make A Wish Foundation of the Greater Bay worked with some amazing volunteers to make the wish of one 5-year old boy come true as San Francisco was turned into Gotham City for a day. This event TOOK OVER social media for the day and reminded me then, as it does now, to remember the good in social media. Often times I think social media gets a bad rap and yes there is some complete garbage online, but I like to look to the positive aspects of this participatory culture and be hopeful that these tools can change the world for good. Batkid is one example of just how that happens. Now, there is a documentary available on Netflix (at least that’s where I watched it) that chronicles this story. Check out the trailer below and then go watch the movie. You will not be dissapointed. I took so much away from the movie and it did remind me of that day back in 2013. I was fortunate enough to be teaching a class on the use of social media and I pretty much scrapped the lesson for that day so we could join in on social media. Students were amazed at the magnitude of the event and how many people got involved not only on social media but in person on the day of the event. It was something truly special. 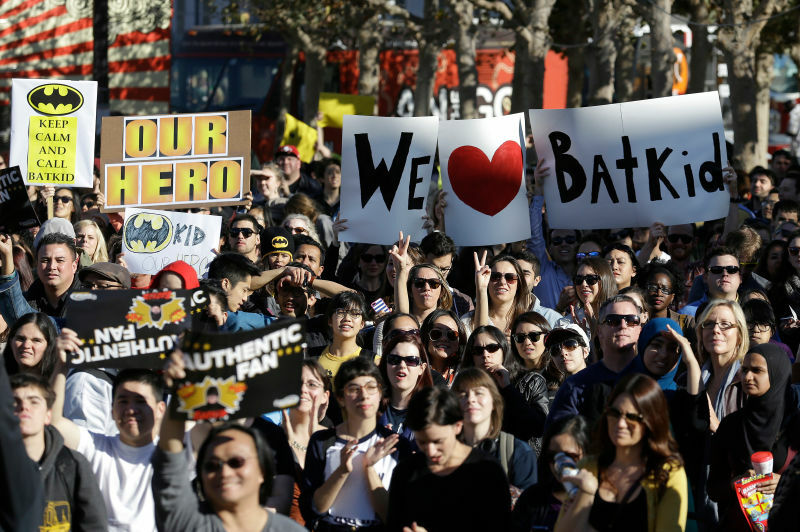 I actually liked that people joined in and created signs that read we love batkid or save us batkid. The end of the documentary shared a very important point. That although people may have thought it was fun to join in on this viral moment, the reality is that Batkid really did save us. He saved us by remembering what it’s like want to be a superhero, to let go and have fun, and to just be a kid. he saved us by helping the world to gather together in San Francisco and through social media. For one day everyone was a little nicer, more polite, friendly, and giving. This to me, is the power of social media. The power to bring people together, to rally around a cause, and to ultimately change the world. I figured I had better update my blog for all those who try to find it after the ARNOVA conference this past weekend. I actually meant to post this prior to the conference but well what can I say other than life seems to be super busy right now. ARNOVA stands for the Association for Research on Nonprofit Organizations and Voluntary Action. It’s a great group of practitioners, students, and academics that are focused on all things nonprofit. I was part of two different presentations related to using technology in education. The first was a colloquium where I had 5 minutes (I know right only 5 minutes) to talk about engaging students in the digital world. I borrowed heavily from my work and previous writings on this subject as they relate to social work education. More information here. But it was actually a lot of fun to have such a short amount of time to get to the point before the gong. Yes there was actually a gong sound that would indicate your time was up. The other presentation was related to some of my work on increasing digital literacies among students. I have written about this topic as well here on my blog but it was fun to take a unique nonprofit education perspective on the topic and I think the attendees enjoyed it as well. Here are the slides from that presentation. Blogging seems to be one of those things that ALWAYS gets put to the back burner. It’s funny actually, because I think that blogging has a vital place in academia and the world of research, but I just still can’t manage to find the time. Keeping this in mind, I though I would post a couple of thoughts from this semester where I knew I should have posted those thoughts here. The thoughts center around my research interests in the use of social media in social work education as well as the social media course I teach. First things first, this semester Laurel Hitchcock and I had an amazing experience with our Live Twitter Chat. We partnered with the #MacroSW folks to promote the chat and had students from all over the country, and even a few participants from across the pond, participate in the one hour event about income inequality. Laurel provides a great follow up to the event on her blog, but I would definitely echo here statements about getting students involved and excited about policy/macro issues. Students not only participated in the chat but also were required to write a one page reflection on the experience of being involved in the chat. The reflections were fantastic with many students expressing their astonishment at how they could engage with so many people in different locations from very diverse backgrounds. The civility of the chat was also noted when students politely disagreed with statements and mentioned in the reflection how they felt like it was nearly impossible to have a “political discussion” in this day and age without it turning into a negative battle of seemingly intellectual wit. You probably know what they mean if you have ever engaged in a Political Facebook discussion with your uncle Jerry. Other students noted that they now see value in social media, Twitter specifically, and understand how they could possibly use it to augment their learning. For me, this is one of my foremost goals of integrating social media into the classroom. Students today are bombarded with selfies, viral videos, or other content that has little to no value other than for the ephemeral moment that may or may not bring about a smile. They don’t understand that there is a treasure trove of information on various social media platforms and that once they understand how to use social media in a professional context, they can connect with others to learn and expand their knowledge. Naturally, of course, we need to teach students crucial digital literacies such as judgement because not everything is accurate or trustworthy. But the point is that information is readily accessible and if you know how to search and use critical thinking then you can find a lot of very useful information. This is another one of my main goals in using social media in the classroom, that is teaching students critical digital literacies and how to research information or topics by connecting with experts online. I have operationalized this in my policy class when utilizing collaborative learning groups or CLG’s. Breaking students into small groups and having them work on various questions related to the social security act left some groups wondering where to start. Yes, there is always the book but I knew that at least 2 students in each group had either a tablet or laptop to access the internet. I encouraged them to find any information they could related to their questions dealing with the social security act. I then put Twitter on the big screen in the classroom and simply searched “Social Security” to see what people were sharing and discussing about online. It didn’t take long to find an individual I follow who had actually tweeted a link to a news piece from NPR. The piece directly related to some of the questions and I encouraged the group with those questions to use this source and share it with the class. I want to reiterate that it is important to use critical thinking and digital literacies when finding information online, whether through social media or that Google machine. Part of my argument for using social media over Google lies in connecting with experts. A small example from my social media class this semester involved tweeting to Beth Kanter and Allison Fine, authors of the Networked Nonprofit and the textbook I use in my social media class. Beth and Allison are expert social media users so it’s almost no wonder that they responded back but it is still great to connect with individuals online. I brought this up in class and also had several students throughout the semester share how they thought it was cool when experts or celebrities favorited or Re-Tweeted their tweets. It does feel good and it can be great to connect with these experts to engage in a conversation about a specific topic and then have that conversation impact your research. A hashtag trending on Twitter means that it is one of the most tweeted about topics at that time. 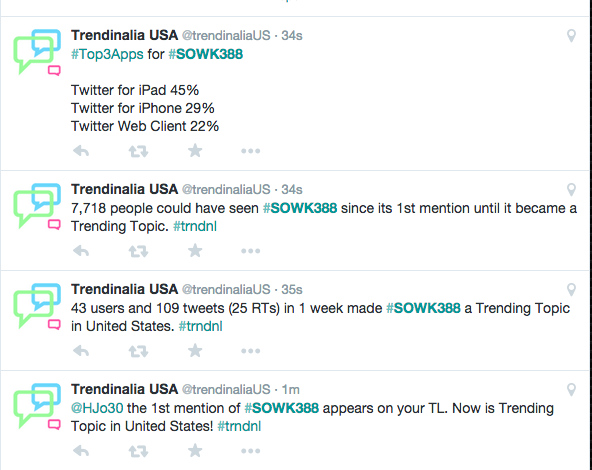 It’s being tweeted about so much so fast that Twitter picks it up in the trending pane. This was never a goal of tweeting documentaries but there are some potential educational benefits of having the course hashtag trend nationally and it can actually relate back to how I use live twitter chats. Because the hashtag was visible, we could have had a broader conversation on the topic of Cause Related Marketing, which is part of what Pink Ribbons Inc. is all about. We did not actually have anyone chime into our live tweets that morning but I think it could have been valuable to process with students and others on Twitter the reactions to this film and the topic of the week. This is essentially providing the application of theoretical learning that typically takes place in the classroom. In other words, using social media provides for an actual avenue where students can apply their learning. I appreciate the opportunities afforded through connected learning and students have really begun to see the importance of social media in their lives. Especially beyond the selfies. Now it’s time for the Holiday break and because I have a new prep for next semester I am going to unplug and enjoy my kids and everything that goes with the Holidays. Thanks for reading my blog and see you next year. 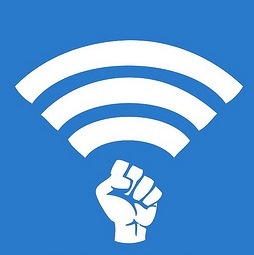 Two years ago I developed a new General Studies course for the University entitled “Social Media, Digital Activism, and eCitizenship.” I have been teaching this course online and face to face for several semesters now and I thought I would share with others how I conceived of this class and how it has been evolving as I continue to teach it. I think some things work great and other things not so great. The purpose of this course is to examine the role of social media in the human service and nonprofit sector and how to utilize social media for a variety of purposes. The course will identify what social media is and how it can be used for marketing, communications, and advocacy within human services in addition to how social media promotes civic engagement. Students will learn about participatory culture and new media literacies through the discovery of social media platforms as well as how to apply this knowledge, which promotes critical thinking skills, encourages collaborative problem solving, and acknowledges the role of social media in forming networks and affiliations that can strengthen civic engagement. The Capstone project enables students to employ social media to creatively design, organize, and evaluate an integrated strategy that promotes an organization, critical issue, or assists with marketing and communications. Students are required to complete a Capstone project that requires them to evaluate information from more than one academic discipline, formulate logical connections between disciplines as they relate to the topic, employ the approach of more than one academic discipline in completing the project, synthesize knowledge related to the topic, and communicate effectively in the medium chosen for the capstone project. This is achieved by focusing on marketing and promoting as well as on advocacy or activism. The learning units and assignments are contextualized around the nonprofit sector and more specifically human service organizations. The funnest thing about this course is that because it’s a general studies course I often have a diverse array of majors. Many students have stated on the teaching evaluations that when they first enrolled in the class they did so to complete the Capstone Requirement and thought they already knew everything about social media because they use it everyday. I initially thought this would be and so I start of the course with a history of social media and try to present a different perspective on social media that many students may not have seen before. It’s fun, engaging, and students are usually surprised to learn they actually don’t know that much about social media. I really enjoy the lecture on identity development and how that identity is portrayed online where users can create an image of themselves that may be less than authentic. Unit two and three dig deeper into social media strategies and methods along with some discussions on appropriate or ethical use of social media and how organizations can use social media more effectively. The final unit brings it all together and I usually show several best practice examples of organizations strategic communications, advertising, or raising awareness using social media. In addition to these units and assignments geared towards social media, when I teach the class face-to-face during the semester I also bring in a focus on New Media Literacies and Participatory Culture. 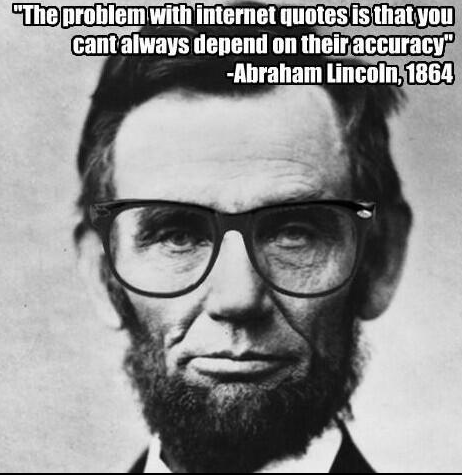 I have blogged about New Media Literacies several times but I always link back to this post. I incorporate the 12 New Media Literacies into class by using several of the skills to help students learn and master the content. For example, one of the New Media Literacies Skills is Play, or the capacity to experiment with one’s surroundings as a form of problem solving. I use games in class to help students get their brain activity up, which can be especially good for early morning classes. Once I have done this then I can move onto focusing on a specific skill, such as Collective Intelligence. This semester I use the Jelly Bean experiment to demonstrate how Collective Intelligence works. If you don’t know what the Jelly Bean experiment is, watch the video below. Collective Intelligence is the ability to pool knowledge and compare notes with others toward a common goal, much the way Wikipedia works. But I was interested in getting students to engage rather than just simply talk about Wikipedia. Using the video below as inspiration, I grabbed some jelly beans and put them into a jar. During class I asked students to guess how many jelly beans were in the jar. Then I asked them to share a photo of the jar to their various social networks in hopes that we would get a higher response rate. In the end, the experiment didn’t work as well as in the video but students were able to understand the wisdom of the crowd, and it was fun to engage their social networks in the lesson as well. Overall, I think this is one of my favorite classes. Not just because I designed it from the ground up or because it is one of my substantive areas of research, but because the topic is extremely relevant. It’s also fun but can be serious when needed. I don’t know exactly where it will go in the future as I have several ideas for improvement, but I recognize that the improvement must take place within the confines of the course requirements. If you have any questions, feel free to email or reach out to me on twitter. I like to keep some of these posts short so I’m sure there is something missing! I recognize that the title to this post is rather long and I hope it transfers to Twitter well. I have actually been back in the States for some time and meaning to follow up here in this space about my experiences at this amazing conference. The conference was my first international conference and first time presenting at #husITa14 and I must say I completely over-prepared. Ten minutes is not nearly enough time to discuss the topic of New Media Literacies and my specific research. I simply ran out of time and did not get to discuss my results, which if you were in attendance at the presentation, I’m sorry and hope that this blog will suffice. There is also a post over on the husITa website with my powerpoint slides and abstract. I have submitted a manuscript for this study to the Journal of Technology in Human Services and with any luck it will be published soon. I just wanted to share quickly what I didn’t get to during the short 10 minutes I had in Melbourne. 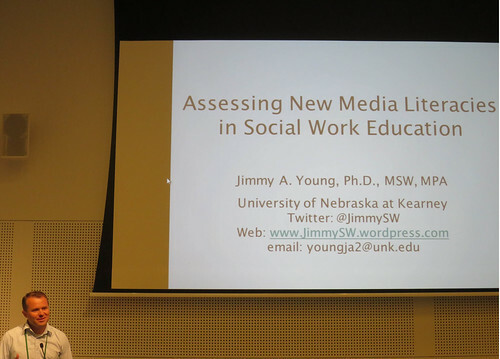 Accessing the link above about New Media Literacies (NML) really gives you the context for the study. What I actually did was replicated a study produced by Ioana Literat who is a doctoral student with Henry Jenkins. I wanted to replicate the reliability and validity of the instrument they created to measure self-reported New Media Literacies skills. You can still take the survey to see your New Media Literacy Score here, and if you feel so inclined it would be great if you shared your score with me via Twitter @Jimmysw. But it is totally up to you. I also wanted to assess the levels of NML’s of social work students and educators and see if there is a significant difference between the two groups when it comes to new media literacies. The results indicated that the survey instrument had adequate reliability and that between this study and Ioana’s, seven similar subscales of new media literacies emerged. There was a significant difference between the new media literacies levels of social work students and educators where students had higher levels of NML’s. Examining the number of hours engaged with media may also explain why students scored higher than educators in new media literacies as students spend more time playing games online or on their phones. Despite the argument for distraction with this type of media, the NML’s theoretical framework and concept of participatory culture illustrates how students are learning differently in a digital environment. They are using the skills of multitasking, play, appropriation, and performance to achieve some desired outcome and the reality is that there are tangible skills being learned in gaming and digital environments. Naturally there are some limitations with this study, such as the need for a better recruitment strategy and sample because the current strategy relied heavily on using technology, which could imply an inherent bias towards individuals that may already have higher levels of media literacy. The social work literature is replete with arguments for increasing the information and communication technology competency of students as well as educators. These digital competencies are important, but I think we also need to include the topic of participatory culture and specifically new media literacies. As social workers we respond to contexts that shape practice, use critical thinking skills augmented by creativity and curiosity, and engage in research-informed practice and practice informed research. These are skills that compliment the concept of participatory culture and new media literacies, and this study provides a starting point to discuss the place of NML’s in social work education. Lastly, a common misunderstanding of technology is the focus on what the tools do and do not allow. The conversation on digital technology and learning needs to include a focus on the participatory aspects of this new digital culture and how increasing knowledge around new media literacies can address the challenges we face in an ever increasing digital world. Expanding our view of new media, digital technology, and understanding participatory culture will help us to build upon the skills students bring to the classroom. This is an exciting time with the opportunity to empower students to build upon those skills by incorporating new media literacies in a way that will expand knowledge, create opportunities for collaboration, and prepare students for practice in a new and diverse society. Some of that last part was taken from the manuscript now currently under review. I hope that if you like what you see, you will visit this blog more often or follow me on Twitter, and seek out the manuscript IF it gets published. Fingers crossed! This is a really quick post to bring some attention to an article that was recently published in Advances in Social Work. The article is title “A Conceptual Understanding of Organizational Identity in the Social Media Environment” and can be found on the publishers website. I also tend to keep a list of my work (and I try to keep it updated) over on my Academia.edu profile. Mainly, I wanted to draw other’s attention to this journal because I believe it is an excellent journal, and it is an Open Access Journal. Anyone can access the articles and use the information, which the main reason I really like this journal. Additionally, the peer review process and turn around time was excellent. I received some great feedback that I believe made the article much stronger, so thank you to the peer reviewers. Feel free to check out those links and let me know what you think about the article. 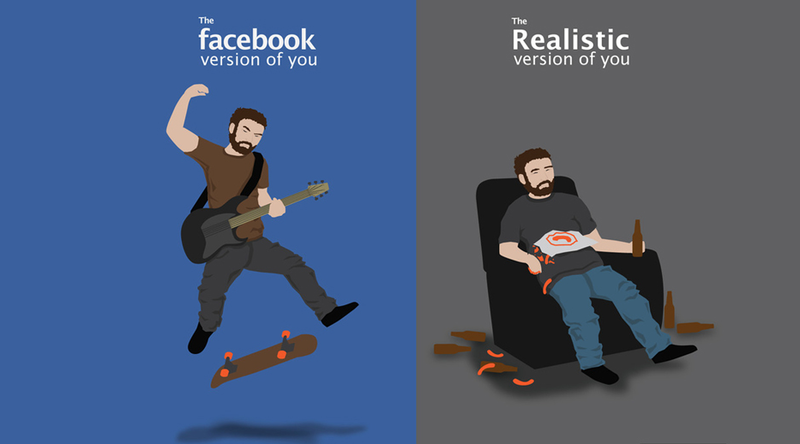 It was definitely a process and result of several years of study and interaction in with social media. I think looking back at the structure of the article my main goal was to help those individuals unfamiliar with the idea of organizational identity, but who could understand individual identity and identity development, and to take them from the micro to the macro of identity. Situating this concept in the social media environment was certainly the main crux of the article, but I do think that these theoretical terms can help one to grasp the concept more easily. But again, feel free to let me know what you think by leaving a comment here, email, or connect with me on Twitter.